For low stress, low pressure, and a lot of charm, you can’t go wrong living in Roscoe Village, a peaceful section of North Center. A now-rising neighborhood with a vintage look, it’s highly walkable and great for families. Roscoe Village offers all the day-to-day amenities you need, plus a distinctive performing arts scene and plenty of activities for people of all ages. Whether you’re moving by yourself or managing multiple people in your home, we’re the Roscoe Village movers you need to arrive here in one place. Out of the 20,000 people who live in Roscoe Village now, there’s an equal number of women and men. Most live in households of at least 2 or 3 residents. The median age is around 33, though over a third of the households have children. Median income is roughly $100k a year, and adults tend to be educated at least through the undergraduate level. Settled by German and Swedish immigrants in the late 19th century, Roscoe Village used to be an industrial hub. After Riverview Park opened nearby in 1903, the neighborhood saw a rise in more commercial businesses. At the time, amusement parks like Riverview were growing very popular with working and middle class patrons, so these businesses flourished as they catered to locals and incoming weekend crowds. Roscoe Village was declining when the park closed in 1967, but like other Chicago neighborhoods was revitalized in the 1970s. It’s known today a neighborhood to watch for. 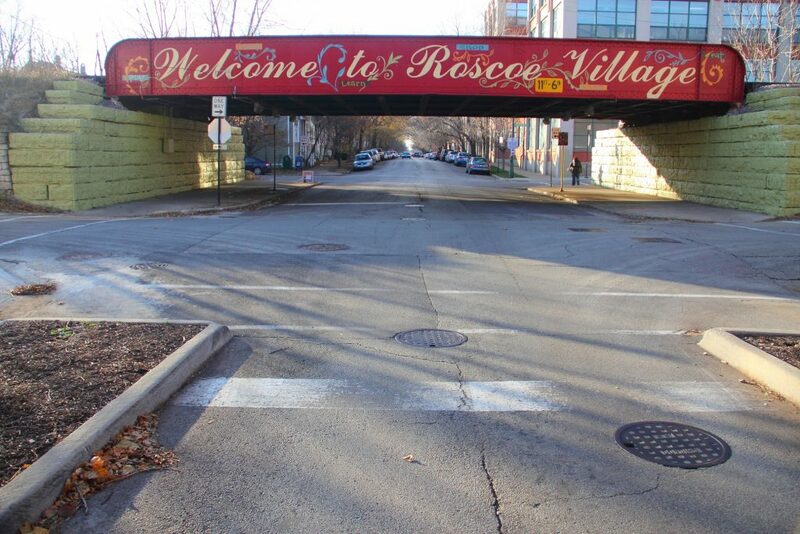 Now you’ve got the gist, here are some highlights—and basics—we found to help you start your best Roscoe Village life. Hamlin Park: Sports fields, outdoor pool, indoor gyms, community spaces and more. Fellger Playlot Park: Playground, picnic space and basketball court. Hamlin Park Playhouse Theater: All kinds of dance performances and classes. Links Hall: “Incubator” and performance venue for range of artists. Roscoe Books: Events for all ages. praha: Unique and affordable vintage items. Twinkle Twinkle Little One: Accessorize your baby or someone else’s. Roscoe Village Neighbors: For community events and updates. Roscoe Village Chamber of Commerce: For festivals and information. Pizza: Bartoli’s Pizza. Thin crust, deep dish and much more. Delivers. Sushi: Hot Woks Cool Sushi. Broad menu. Delivers. Mediterranean: Turquoise Cafe. Italian-Turkish fusion. Southern USA: Wishbone Restaurant. Contemporary Cajun spin. Delivers. Brunch: Kitsch’n on Roscoe. Retro decor and tiki bar. Open daily until 3pm. Low-key: John’s Place. Modern take on diner food. Patio, kid friendly. Upscale: Volo Restaurant. Deceptively simple space and flavors. Beer: Village Tap Bar. 26 brews on tap, for 27 years and counting. Food: Bangers & Lace. Craft beverages and shareable plates. Live Shows: Beat Kitchen. Bar food, music and comedy. Chill: Hungry Brain. Low key live music and home-style decor. Local: Four Moon Tavern. Pool tables and comfort food specials. Late Night: Bluelight. Open til 4am. Mariano’s: Local chain with fresh and prepared food. Hero Coffee Bar: Roastery and artisan deli. Loba Coffee + Pastry: Unique creations. Lake View YMCA: Pool, gym, fitness and programs. Nearby. Orangetheory Fitness: Equipment and classes. The Little Gym: Just for kids. Hamlin Park: Dog friendly area. Logan Square Dog Park: A bit of a walk. Features local art. This has been a tiny sampling of the great things you’ll experience at your new Roscoe Village home. As a seasoned Roscoe Village moving company, we’ve learned all about the staples and cool places in the area. We’re happy to share more! As you’re planning your big move, cross one major thing off your to-do list, and book Roscoe Village movers who’ll a take load of stress off your mind. Call us at New City Moving, and we’ll help you move safely, smoothly, and on-schedule, so you can settle right in and start living your greatest Roscoe Village life.